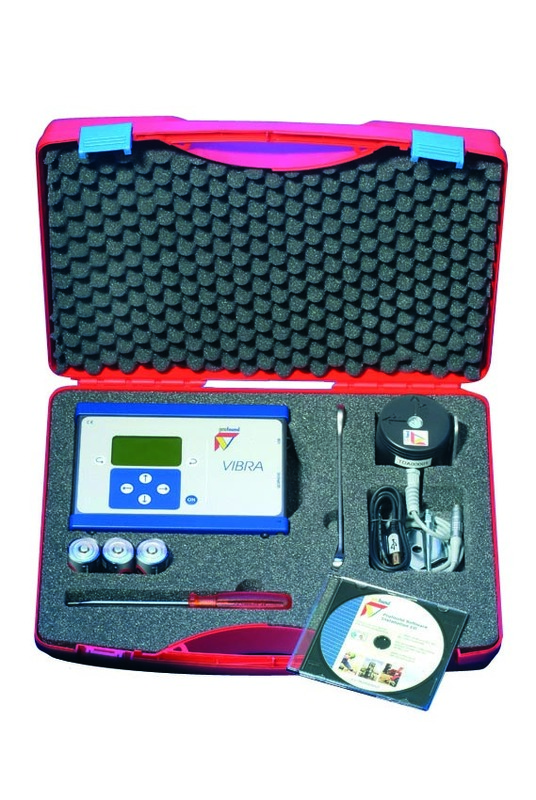 With the Profound VIBRA system consisting of a geophone and a monitor, vibrations caused by traffic, pile driving or demolition work can be monitored continually and accurately. All the data is available via the software provided over a wired connection or the mobile network (GSM). You can install a warning light to warn when a system threshold is exceeded. a monitor, vibrations caused by traffic, pile driving or demolition work can be monitored continually and accurately. By recording vibration levels and frequencies, you can assess the risk of damage to nearby buildings and sensitive equipment as well as the nuisance to people in an objective manner in accordance with the applicable guidelines. 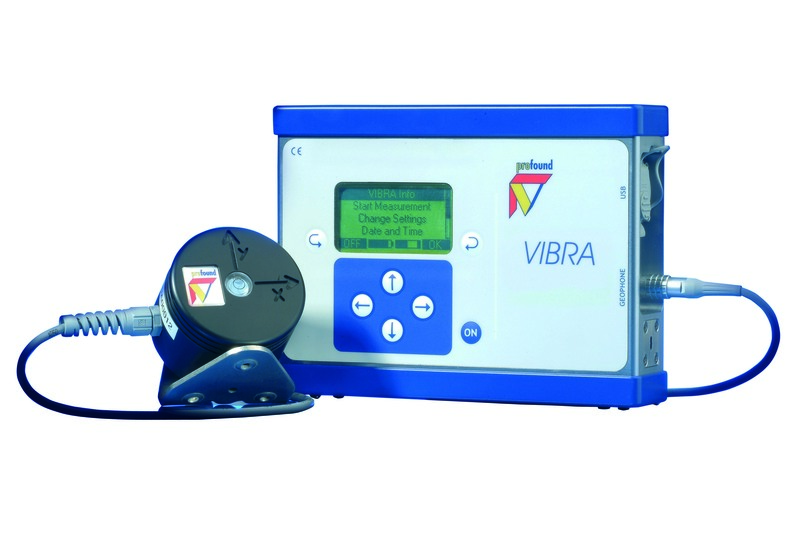 The VIBRA is easy to use and efficient, and displays and records vibrations in the x-, y- and z- directions over adjustable time intervals. Maximum frequencies can be entered to warn the construction site by warning light and audible signal when exceeded. 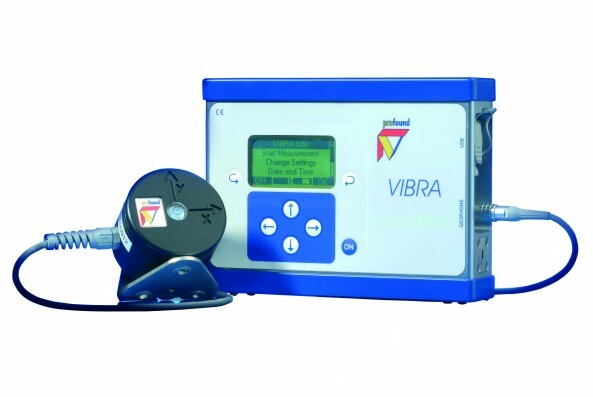 VIBRA battery life is 4 weeks, making it practical to install them in buildings and send the results by email (via GSM) to an office where they can be read by the software provided. Results are automatically generated as graphs. The VIBRA system is available to buy or hire.